In March 2017, Corey Hancock went hiking in the Elkhorn Mountains near the Santiam River Trail in Oregon. He was planning on taking some photos of the surrounding landscape, but what he encountered was not what he expected to see. Hancock unexpectedly came across a baby black bear who appeared to be sick and hardly breathing. "It was laying on its back, barely moving. It twisted a couple of times. Its paws weren't moving. It wasn't breathing. It was dying," Hancock told Oregon Live. After determining that there wasn't a mother bear hovering nearby, Hancock realized that he was this little bear's only hope. 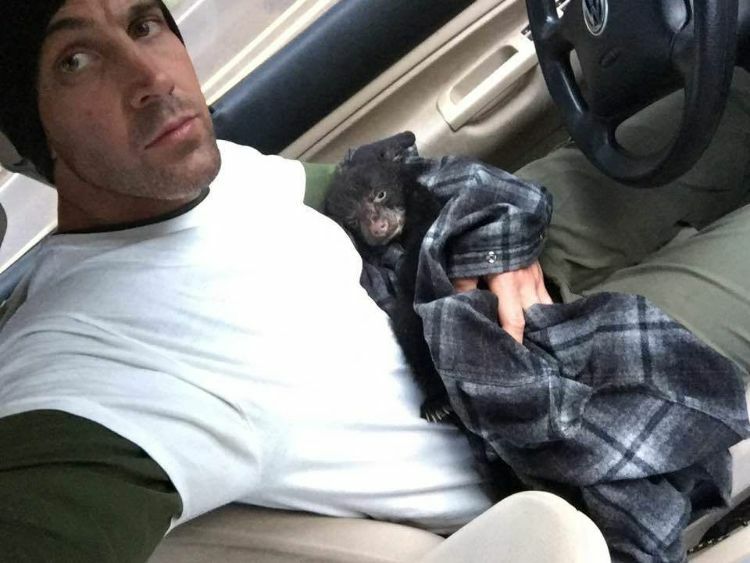 He wrapped the bear up in his flannel and ran a mile and a half back to his car. 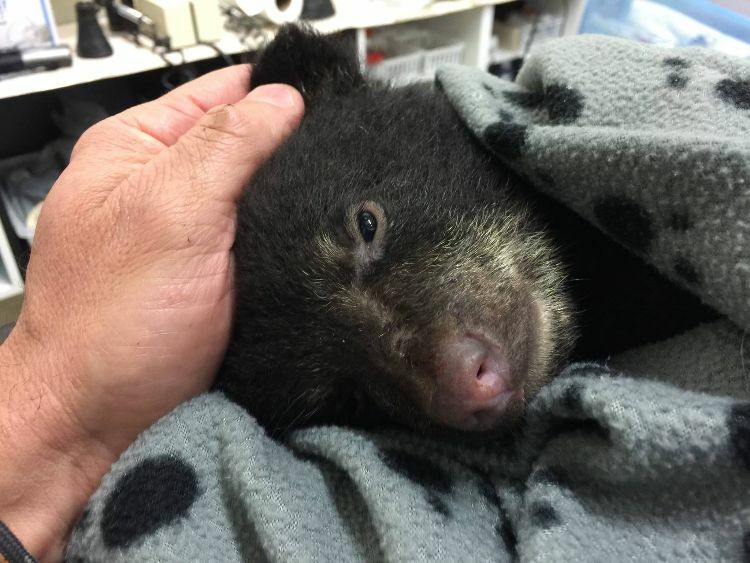 While rushing to a nearby veterinarian's office, Hancock had to pull over twice to resuscitate the bear when he stopped breathing. 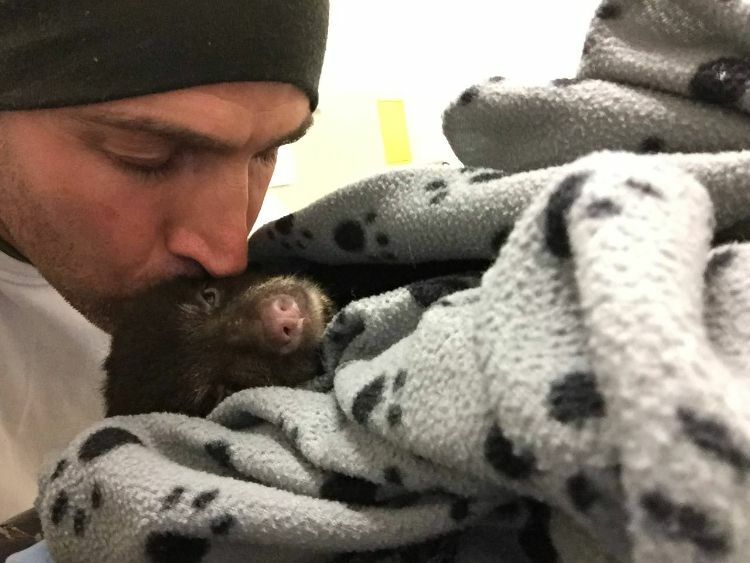 When the veterinarian refused to treat a wild animal, Hancock turned to the Turtle Ridge Wildlife Center for help. A center employee placed the bear, whom Hancock dubbed "Elkhorn," on a heating pad, massaged his deep tissues, and gave him several rounds of fluids. By 6:00 AM the next morning, Elkhorn was moving around and, according to Hancock, was "growling and biting his cage." Charles Harmansky-Johnson of Turtle Ridge called Hancock a "hero" for his actions. Unfortunately, the Oregon Department of Fish and Wildlife (ODFW) didn't feel the same way. In Oregon, it is illegal to remove a young animal from the wild, and for his efforts to save Elkhorn, Hancock faced some criticism, a potential $6000 fine, and possible jail time. 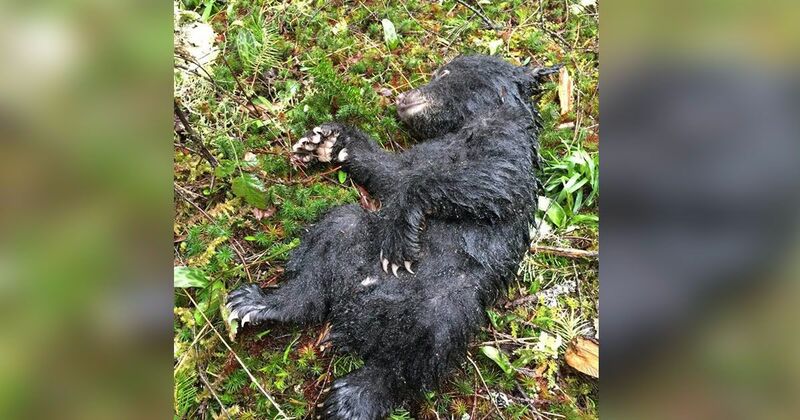 Thankfully, the ODFW gave Hancock a warning instead of a criminal citation because Hancock had acted with the intention of saving the bear's life. As for little Elkhorn, he is now at the PAWS Wildlife Center in Lynwood, Washington where he will be able to grow up in a natural environment without human interference. Best of all, Elkhorn won't be alone! A rescued female cub is keeping him company at PAWS, and both cubs will have the opportunity to mature together. Hancock hopes to someday run into Elkhorn again in the wilderness where this beautiful wild animal belongs. On his Facebook page, Hancock wrote: "So thankful you're ok Elkhorn. I won't ever forget you little buddy. Hope you grow strong and get back into the wild where you belong. Who knows, maybe one day we'll cross paths again. Northern Cascades perhaps?" Three cheers for Corey Hancock whose compassion for this bear gave Elkhorn the chance to live a full life in peace, and best of luck to Elkhorn as he learns to navigate through the wilderness of life. Watch the video below of Hancock recounting little Elhorn's rescue, and share this heroic moment with your family and friends on Facebook.